Our classes range from 8 - 20 women per group session. Group training creates a vibe and the motivation and encouragement between clients during the sessions create a FUN, upbeat environment which makes it easier to show up and reach your goals. I will help you to set goals and together we will take it step by step to reach these goals. Mia’s Training is unique in that it offers women a great workout in a comfortable and fun group environment. It caters for all fitness levels and it is the best workout you will ever experience. A full body workout using body weight and equipment such as medicine balls, weights, kettlebells etc. This class will make you strong which will prevent injury and improve your performance in other activities such as running or cycling. If you want to burn fat, tone your muscles, protect bone mass and muscle mass, improves strength and fitness, improve balance and coordination and boost energy levels and improve mood then THIS is the class for you. Anyone is welcome – it's not easy – but everyone works at their own pace. A stronger cardiovascular system means more capillaries delivering more oxygen to cells in your muscles. This enables your cells to burn more fat during both exercise and inactivity. It will get your heart rate up and Improve blood circulation throughout the body. You will do a few minutes on the cardio equipment but I will also incorporate high intensity exercises like burpees, jumping jacks and skipping! It's FUN and you will feel great when you walk out of this class! So if you are looking to lose weight, sleep better, have more energy, temporary relief from anxiety and depression, reduce stress and make your heart and lungs stronger this class is for you! All levels welcome – you work at your own pace. FUN + FAT burning workout but not easy!!! A combination of strength and cardio where you will be alternating periods of short, intense anaerobic exercise with less intense recovery periods. You will take your heart rate up for a few minutes and then in your ‘recovery’ you will do strength training, most of the time using your own body weight. You burn calories for hours after this intense workout! If you are looking for something new to add to your workout regime this is a MUST try! If you would like to burn fat, improve endurance, get lean , have fun while working out and increase metabolism then this class is for you! Bring your A-game. A whole lot of FUN. You need a bit of aggression and a lot of energy for this class. You will be dripping with sweat and your arms might shake after the session, but you will feel badass. It’s an all round excellent choice for woman and I will advise everyone to try this class at least once. 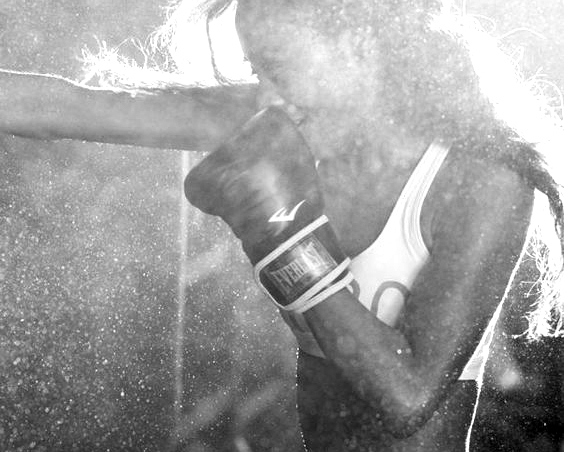 You will be punching against a partner or boxing bag – don’t worry there will be no blood involved. I also incorporate high intensity cardio! If you are looking to get SUPER fit, add variety to your exercise plan, get lean, feel badass, relieve stress, burn calories, burn fat and get strong this class is for you! It's a full body exercise and you will LOVE it!